Prof. Dr. med. Markus Küntscher has been the Senior Consultant of the Department for Plastic Surgery and Hand Surgery since 2010 and the Head of the Reconstructive Breast Center of the Evangelische Elisabeth Klinik in Berlin since 2012. As a specialist plastic and esthetic surgeon with sub-specialty in hand surgery, Prof. Küntscher is specialized particularly in burn surgery, reconstructive breast surgery and hand surgery. 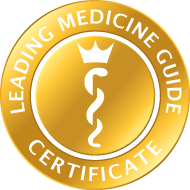 Prof. Küntscher completed his general and specialist medical training at the University of Heidelberg (among others) and at the Employers’ Liability Insurance Association Accident Clinic in Ludwigshafen, before assuming the role of Consultant and Deputy Senior Consultant at the Center for Severe Burns and Plastic Surgery of the emergency hospital in Berlin between 2004 and 2010. Under the leadership of Prof. Küntscher, the Department for Plastic Surgery and Hand Surgery at the Evangelische Elisabeth Klinik in Berlin offers a broad range of reconstructive and shape-altering surgical procedures for organs and tissue – whether for functional purposes or purely esthetic reasons. Here, the department focuses particularly on reconstructive plastic surgery, cosmetic plastic surgery, hand surgery, burn surgery and the treatment of transgender people. While reconstructive plastic surgery is designed primarily to restore the shape and function of external parts of the body after accidents, tumor surgery and major diseases, as well as to correct congenital deformities, cosmetic plastic surgery is designed to make surgical changes to shape for purely esthetic reasons. Here, the range of treatments offered by Prof. Küntscher and his team in the field of cosmetic plastic surgery includes abdominal wall tightening as well as breast correction procedures and nose correction. In the area of hand surgery, among other things Prof. Küntscher and his team perform surgery on fingers, metacarpus and wrists, they treat injuries to tendons, ligaments and nerves, and treat inflammations in the area of the hand. The treatment spectrum in the field of burn surgery includes, in particular, second and third-degree burns covering up to 20 percent of the body surface, as well as scalding in children. 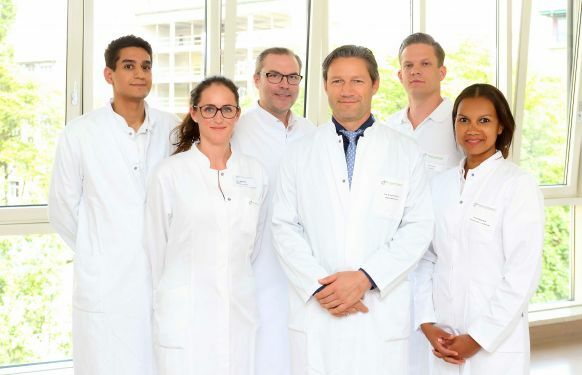 In addition, Prof. Küntscher and his team perform gender reassignment surgery for transgender or transsexual people, both male-to-female and female-to-male. 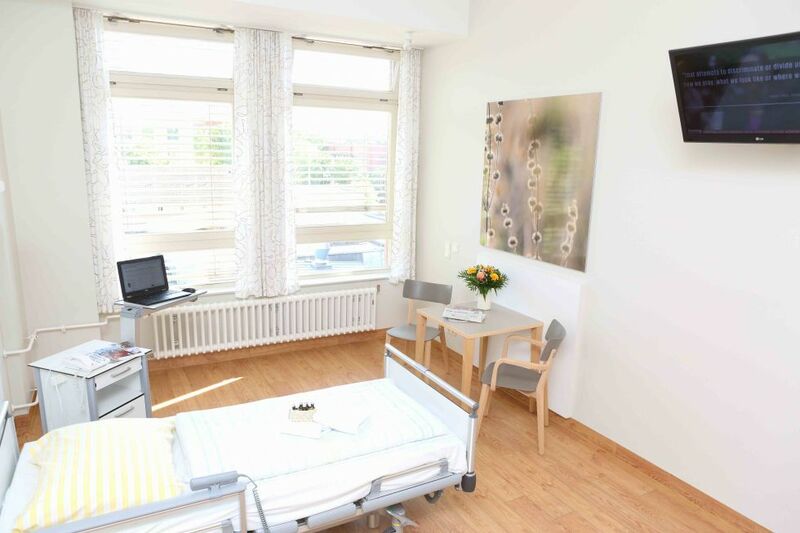 Another core area of the Department for Plastic Surgery and Hand Surgery at the Evangelische Elisabeth Klinik in Berlin is female breast reconstruction, for example after breast cancer. 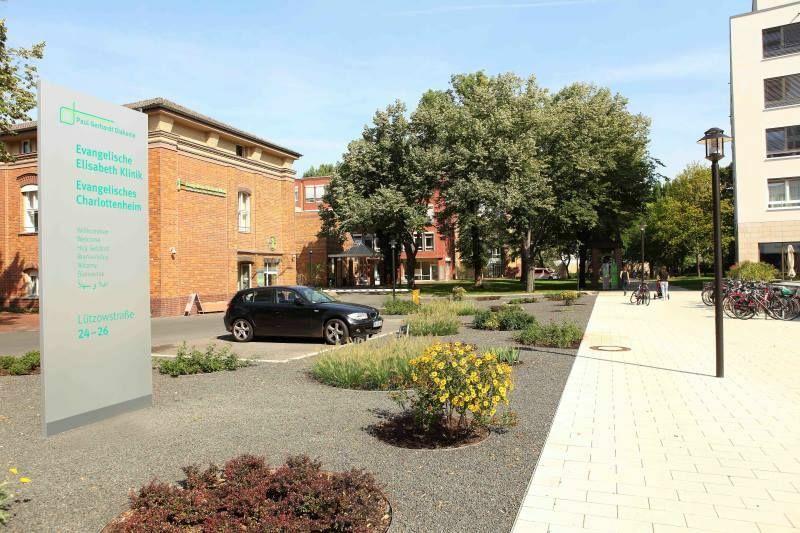 As one of the first hospitals in Germany, the department has been awarded the rating “Quality-assured breast reconstruction” and the title “Reconstructive Breast Surgery Center” by the German Society of Plastic, Reconstructive and Esthetic Surgeons (DGPRÄC).